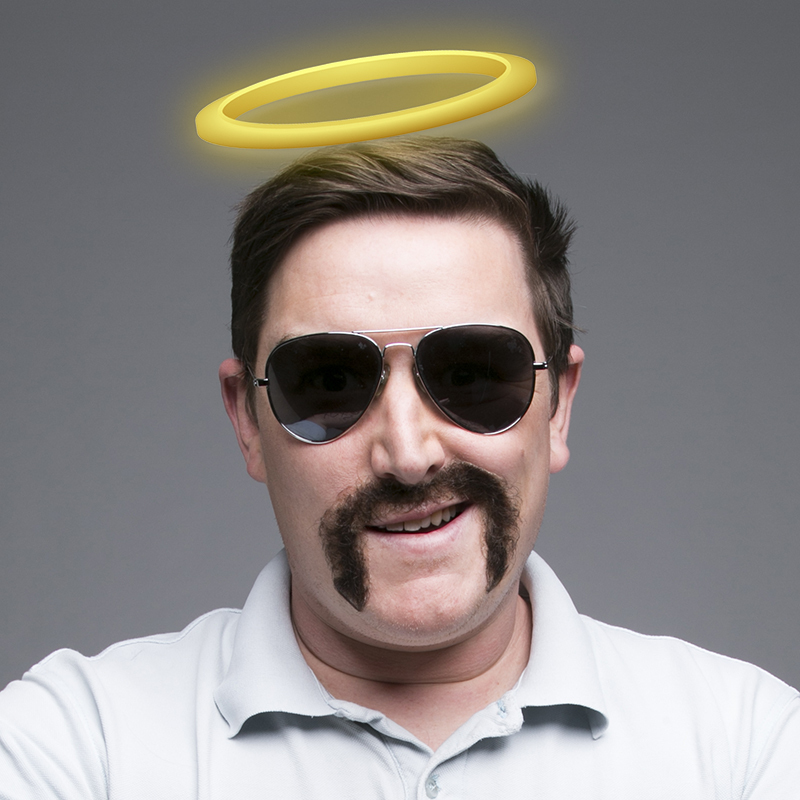 In the beginning, God created the moustache... and it was good. Then he took the next 6 days off, because once you've nailed it, treat yourself to a lie-down. The world has had religion ever since God was in nappies, and what have we got to show for it: wars, terrorist attacks, and Christian rock. It's time religion took a hard look at itself, so Chopper is starting his own one, in his own image, and giving hell to the almighty. There's a new 'mo-ssiah' for a new age and he's holier than Oscar Pistorius' bathroom door. Thou shalt harden up and become a Chopostle! So gather round, and be healed by Bogan Jesus! Laughing Stock Productions has been enhancing the comedy landscape since 2004, and is an award winning, independent production house that nurtures the creative talent of established and up & coming artists, whilst developing innovative projects for stage and television.